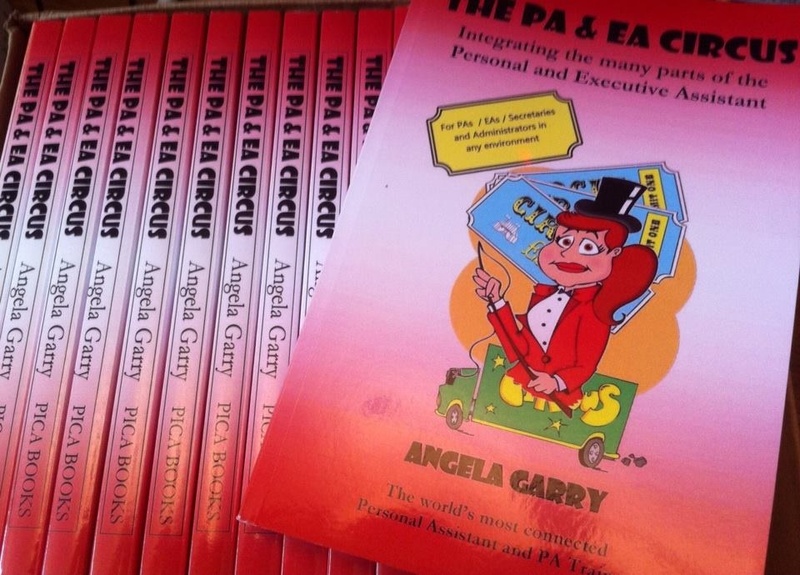 Hello and welcome to the new Angela Garry PA & EA Blogspot! So, now that we're here, what is this space for, and what am I aiming to do with it? Firstly, it's a promotional space - let's admit that right from the start. I have several books to my name and a magazine, and am developing a second magazine. 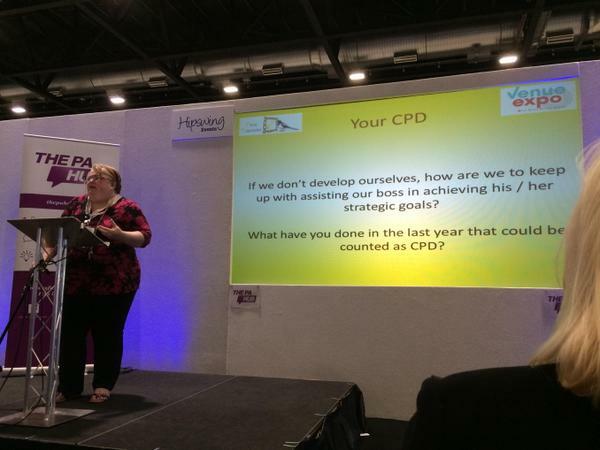 I also deliver training, and can offer mentoring and both life & career coaching. So this is going to be a promotional space, defininitely, detailing the various things that I do - but I'm also intending that this will be an informative and inspirational / motivational space too. My September has been manic so far, and it's only the 13th today. 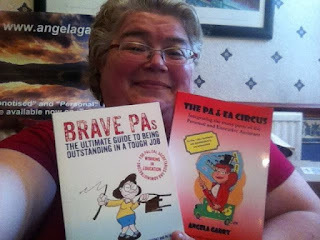 It started with the final push on writing / editing my second book for the PA & EA community - "The PA & EA Circus" - which I finally finished and uploaded to www.createspace.com (the selfpublishing 'print on demand' service that's attached to Amazon). I then started contacting potential reviewers, to ask if they would look through a pdf copy and give a paragraph or two in review - selecting them from my substantial list of fabulous PAs and PA trainers worldwide. So far, I have been promised reviews from contacts in the USA, Norway, Turkey, South Africa, and throughout the UK, so with a bit of luck there will be some good comments which I can add to the book's website and to Amazon in order to plug the book for more sales. The first copies of the book arrived this weekend - two large-ish boxes, containing 50 copies between them. The delivery man banged on my front door with a foot and when I opened it, he looked at me with a face contorted with pain - he was holding both boxes and attempted to hand them to me in one go. I shook my head, got him to put them both down, and then hand me one box at a time. With 20 copies weighing in at the equivalent of box of 5 reams of paper, I've no idea how he was able to hold them both at once! The excitement of opening a box full of books is always lovely. Doesn't matter what books they are - whether I'd ordered them a few years ago for my psychotherapy degree course, or for a friend's birthday - I love receiving parcels and I love unwrapping books. But a box full of copies of a book that *I* have slaved over for several months, that I've actually written and designed all by myself - wow, that's a good feeling, it really is! I uploaded the final files for the book on Saturday 5th September, on my return from a trip up to Dundee where I spoke at the ESPA (Education Scotland PAs' network) conference on the Friday. 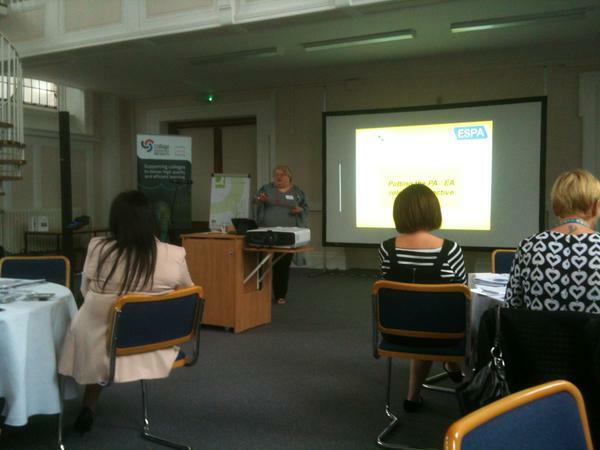 It was a good conference, attended by around 50 or so PAs from universities and colleges across Scotland. I spoke on the future of the role of the PA / EA. I've been spoilt, I think, by flying around the world to so many fabulous places - I had forgotten quite how slowly trains go... It took 5 and 3/4 hours to get to Dundee from Derby - which is only 45 minutes shorter than flying to Dubai from Birmingham, but a fraction of the mileage. Thankfully I was able to sleep pretty for a few hours on the train up on Thursday, and for a while on the train home on Saturday, so kept the insomnia at bay enough to be awake on the Saturday evening which allowed me to get the finalised book files sorted. Createspace is a really interesting concept. Fantastically simple, really, just create a document, save in pdf format, upload it, create and upload a cover, and away you go - you've made a book! OK, so it's a bit more detailed than that, and a tad long-winded in filling in bits and pieces, and going back and checking and re-checking and re-checking, but it cuts out the whole process of finding a publishing company, working to their deadlines and edits, and enabled me to produce a book in a really short amount of time: from final upload on 5th September, I had printed copies in my hand 7 days later. 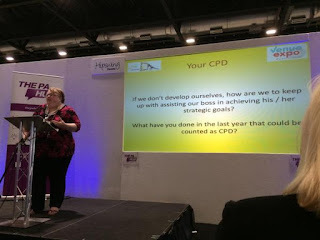 During the week that Createspace were doing the printing, I headed off on Tuesday evening up to Liverpool to speak at The Venue Expo, on the topic of "Future Planning for PAs" - both this and my session in Dundee were based on a chapter in the new book. It was good to meet up with Marion & Jon Lowrence, Sue France, Jamila Juma-Ware and a number of other PAs (albeit briefly - I was only there for Wednesday morning before heading back to base again). There's been lots to do, no real time to socialise this week! Back home from Liverpool I then found myself needing to spend several hours on doctors' appointments on Friday, including blood tests (I HATE NEEDLES), which ate into my work time a bit. Ongoing work has included pulling together articles for the autumn term issue of NAHPA (www.nahpa.org.uk - the magazine which I own and edit, for Headteachers' PAs in schools across the UK and Ireland), and developing new work: I'm going to be launching a sister magazine for PAs in universities and colleges, called UNIPA, so I've been building a new website for that (www.unipa.org.uk) and starting to create the first issue. I've also updated my portal website (www.angelagarry.co.uk) to include mention that "The PA & EA Circus" is now available worldwide via Amazon.com and Amazon.co.uk, and to announce that UNIPA is on its way. 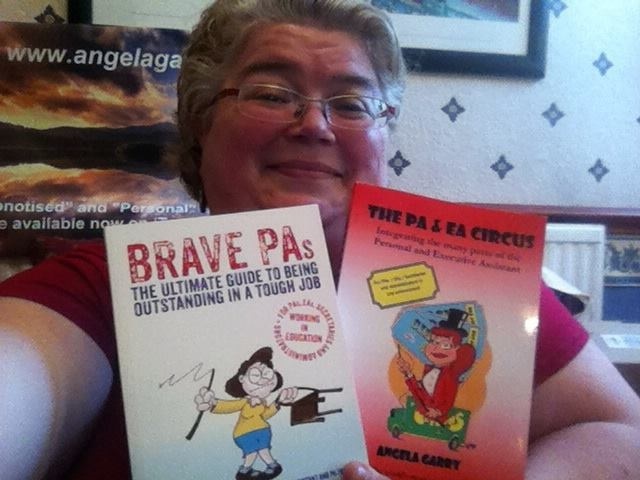 Then there were updates to my LinkedIn profile page (www.linkedin.com/in/angelagarry) to include the new book and the new mag, and to add a company page for UNIPA. Plus I've been sending out more marketing emails for the training courses I'm offering this autumn, in Nottingham, Dublin, London, Limerick and Edinburgh (see www.picaaurum.com for details of these). And some tweets! Never forget the power of the tweets! Plus I've set up dates for doing 4 #adminchat sessions in 2016.
putting together the full programmes for my courses in Romania and Kenya in early 2016.